I’m a realist (seems odd since I am also a fiction writer). So, if I answered this question honestly, the answers would be air, food, water and some type of shelter or safe place to rest. Those are really the only things that we need to survive. However, I think that the above answer does not address the spirit of the question. My family. I have been blessed (although I did not always consider six older siblings a blessing) with a large and loving family and would truly miss not having them to reach out to for a chat. My pets. This answer is kind of cheating since I consider my pets my family. They are my companions and as much as they exasperate me sometimes, I love each one (yes, even you Jack! – he’s a bit of a high energy dog with digestive issues). Nature. I used to want to live in New York City with the hustle and bustle. Now, I know that I would be miserable in any city. I crave the wide open spaces and the greens and browns of nature. Finally, Pepsi. I truly love that sugary, carbonated drink. Hmm. I have a lot of shows that I like. Some, I love the concept more than the actual show itself (Walking Dead – they could do so much better with their episodes and characters). Some are guilty pleasures (reality TV – Survivor and yes, I admit it – Big Brother). But, right now, I’d have to say that my favorite show is Game of Thrones. It is so well written and acted that there is nothing else out there even close to it. I’m a wimp and I know how tough real life is so, I’d choose to be a heroine from any of the contemporary romances. Sure, life is tough for a bit but I’d end up with a hunky guy (probably rich) who adores me and a happily ever after. Currently, I am working on the next three books in the Lake of Sins series. It was supposed to be two but the third one is way too long, so I’m probably going to make it into two books. I have also just finished (in rough draft) a novella about Christian, the River-Man and how he became a River-Man. I hope to have that one released in a month or so. I may send it to Kindle Scout which will delay the release, especially if it is accepted. I am toying with the idea to release this story as both a novella and as a graphic novel. I have to get a quote from the illustrator who’s been creating images of my characters. I really don’t have any one. Over the years, I have gone through many favorite authors – Stephen King, Carl Hiaasen, Julia Quinn, Shakespeare (of course) just to name a few. I don’t really know if any of them have influenced my writing but I suppose that they have in some way. I am really more of a “book/story” reader. I may read several books by the same author but then I flood my system and tire of that author (I’m not suggesting that any of you should tire of me as an author – of course J) because their stories become boiler plates. I’m hoping to avoid that myself, but I’ll probably fall into that trap too. 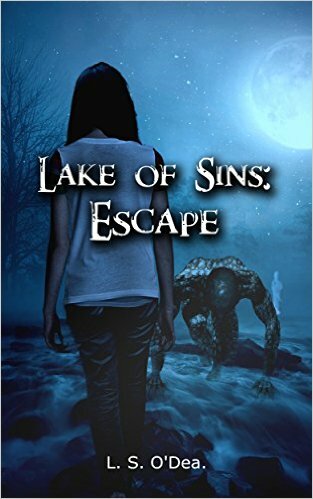 Posted on October 7, 2015, in Guest Authors and tagged @lsodea, Book Excerpt, dystopian, Goddess Fish Promotions, L. S. O’Dea, Lake of Sins, sci-fi/fantasy. Bookmark the permalink. 14 Comments. I enjoyed the interview. Thank you for the post, interview and the giveaway! glad that you enjoyed the interview, thanks for commenting. It means a lot to know that people are actually reading this. I hope you like the series when you read it. Someone called is “different dystopian” and I agree. It is that genre but it is definitely different than anything else out there (that I am aware of). Where would I like to visit that I haven’t been before? Hmm. I haven’t traveled too much. I’m a homebody (plus I have a lot of pets and it is expensive to board them). I think I’d like to go to Ireland, oh and Alaska. Some of my family went to Ireland a few years back but I wasn’t able to go. The photos are amazing. It is very pretty there. And, Alaska. Well, there is just so much wildlife and nature. I love nature. I’d also like to go to Australia and New Zealand and Yellowstone. I guess I’m not such a homebody after all. Book 1 (Escape) is good, but book 2 (Secrets) is really good. Unlike a lot of series, this one gets better as it goes along (at least I hope people feel that way about books 3, 4 and 5). I know that most feel that way about 1 and 2. Thanks again for hosting my series. 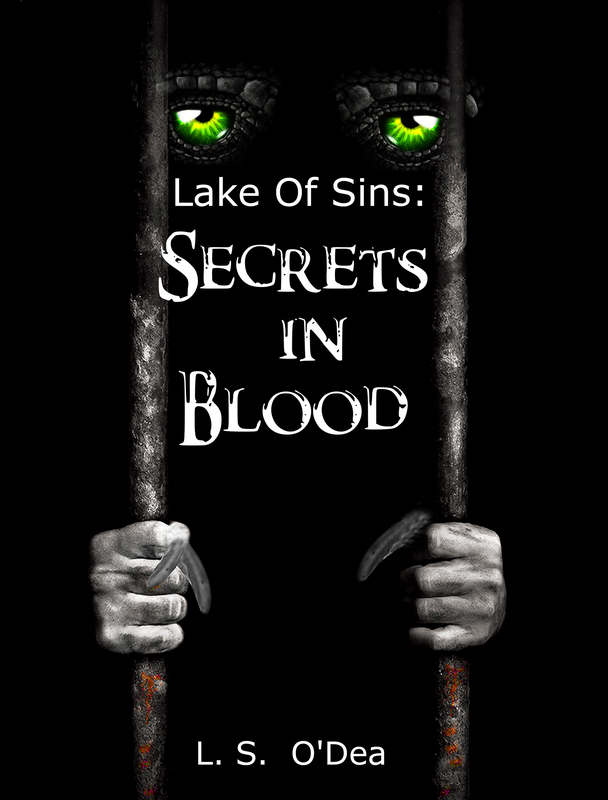 Thanks for hosting my Lake of Sins series on your blog.